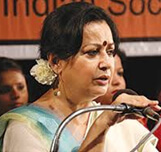 Ms. Kusum Bhandari, was instrumental in starting Udayan Shalini Fellowships in West Bengal. Directing her own Montessori school for many years, Ms. Bhandari has extensive experience in working with children's education. She has effectively grown USF in West Bengal, forging many new partnerships for Udayan Care.